A test pilot is an aviator who flies new and modified aircraft in specific maneuvers, allowing the results to be measured and the design to be evaluated. Test pilots may work for military organizations or private, (mostly aerospace) companies. Testing military aircraft, in particular, is regarded as the most challenging and risky flying conducted in peacetime. In the 1950s, test pilots were being killed at the rate of about one a week, but the risks have shrunk to a fraction of that, thanks to the maturation of aircraft technology, better ground-testing and simulation of aircraft performance, and, lately, the use of unmanned aerial vehicles to test experimental aircraft features. Still, piloting experimental aircraft remains more dangerous than most other types of flying. The North American Aviation XB-70 Valkyrie was the prototype version of the proposed B-70 nuclear-armed deep-penetration bomber for the United States Air Force's (USAF) Strategic Air Command. The Henschel Hs 123 was a single-seat biplane dive bomber and close-support attack aircraft flown by the German Luftwaffe during the Spanish Civil War and the early to midpoint of World War II. Although an obsolete design, it continued to see front-line service until 1944, and was only withdrawn due to a lack of serviceable airframes and spare parts. The Me 163 Komet, designed by Alexander Martin Lippisch, was the only operational rocket-powered fighter aircraft during the Second World War. Although revolutionary and capable of performance unrivalled at the time, it proved ineffective as a fighter and resulted in the destruction of very few Allied aircraft. The T-6 was a single-engine advanced trainer aircraft designed by North American Aviation, used to train fighter pilots of the United States Army Air Forces, United States Navy, Royal Air Force and other air forces of the British Commonwealth during World War II. The Lysander is a two-seat reconnaissance and artillery spotting monoplane defined by Specification A 39/34 in response to Operational Requirement OR. 18. Three squadrons of Mk. Is and three of Mk. Us equipped during 1938/39 moved to France with BEF in 1939; about 50 Westland Lysanders were shot down and 30 destroyed on the ground in May 1940. Our Price: $31.99 Sold Out! The Chengdu J-20 (Jian-20; literally "Annihilator-Twenty") is a fifth generation stealth, twin-engine fighter aircraft prototype developed by Chengdu Aircraft Industry Group for the Chinese People's Liberation Army Air Force. The BAE Systems Hawk is a British single engine, advanced jet trainer aircraft. It first flew in 1974 as the Hawker Siddeley Hawk. The Hawk is used by the Royal Air Force, and other air forces, as either a trainer or a low-cost combat aircraft. Our Price: $56.99 Sold Out! The Northrop T-38 Talon is a two-seat, twin-engine supersonic jet trainer. It was the world's first supersonic trainer and is also the most produced. The T-38 remains in service as of 2013 in air forces throughout the world. The Hawker Hunter was a UK jet fighter aircraft of the 1950s and 1960s. 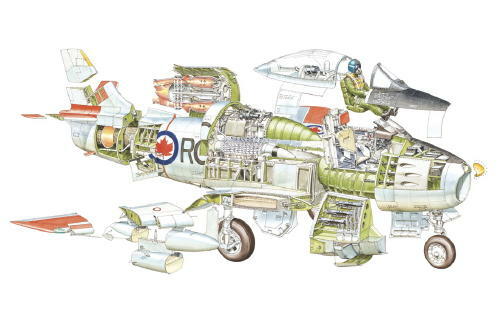 The Hunter served for many years with the Royal Air Force and was widely exported, serving with 19 air forces. A total of 1,972 Hunters were produced by Hawker Siddeley and under licence. The Mitsubishi F-1 is Japan's first, post WWII, domestically developed jet fighter, and was the first fighter to enter production in Japan since the end of World War II. Mitsubishi Heavy Industries and Fuji Heavy Industries jointly developed the F-1. The Northrop F-5A/B Freedom Fighter and F-5E/F Tiger II are part of a family of widely used light supersonic fighter aircraft, designed and built by Northrop in the United States, beginning in the 1960s. The Northrop T-38 Talon is a two-seat, twin-engine supersonic jet trainer. It was the world's first supersonic trainer and is also the most produced. The T-38 remains in service as of 2013 in air forces throughout the world. The United States Air Force (USAF) is the largest operator of the T-38. In addition to training USAF pilots, the T-38 is used by NASA. The Kawasaki T-4 is a subsonic intermediate jet trainer aircraft used by the Japan Air Self-Defense Force. It is currently used by the JASDF's Blue Impulse aerobatic team. The first XT-4 prototype flew on July 29, 1985. The first production aircraft was delivered in 1988. Our Price: $62.99 Sold Out! The Stearman (Boeing) Model 75 is a biplane used as a military trainer aircraft, of which at least 9,783 were built in the United States during the 1930s and 1940s. Stearman Aircraft became a subsidiary of Boeing in 1934. The Sukhoi Su-35 (NATO reporting name: Flanker-E) Also known as Super Flanker, is a designation for two separate, heavily upgraded derivatives of the Su-27 'Flanker'. The Sukhoi PAK FA (Russian: Perspektivny Aviatsionny Kompleks Frontovoy Aviatsii, literally "Prospective Airborne Complex of Frontline Aviation") is a twin-engine jet fighter being developed by Sukhoi for the Russian Air Force. The Sukhoi T-50 is the prototype for PAK FA. The PAK FA is one of only a handful of stealth jet programs worldwide.